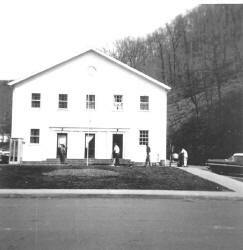 DGap023a: This building is no longer standing. The Clubhouse is directly to the left of the building. This building housed three offices: from left to right ,doctor's office ,dentist's office and the post office. (The post office later moved across the street, directly behind where we are standing.) Photo compliments of the David Goad Collection. 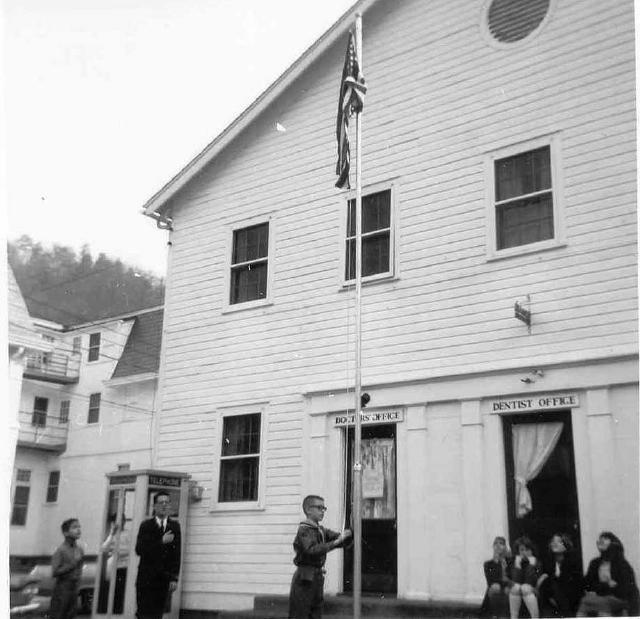 DGap001a: Raising the flag in front of the post office. 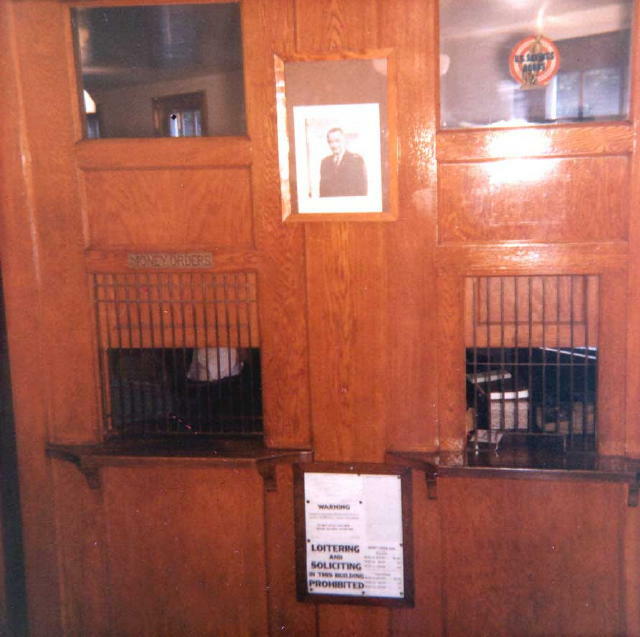 (The door to the post office is not visible in this picture, but you can see the Clubhouse on the left.) Photo compliments of the David Goad Collection. 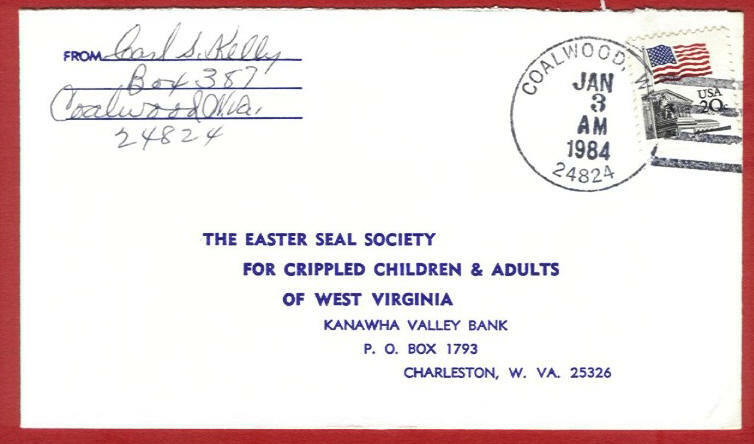 Letter mailed from Coalwood on January 3, 1984. Scan courtesy of Ed Roth. Letter mailed from Coalwood on September 20, 1934. DG0023: Inside lobby of the Coalwood post office. Photo compliments of the David Goad Collection. 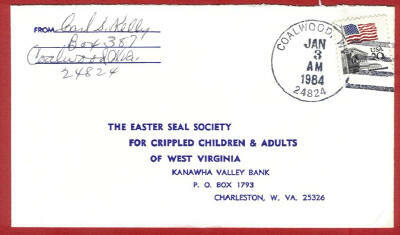 When ZIP codes were introduced in the 1960s, Coalwood's post office was assigned ZIP code 24824. 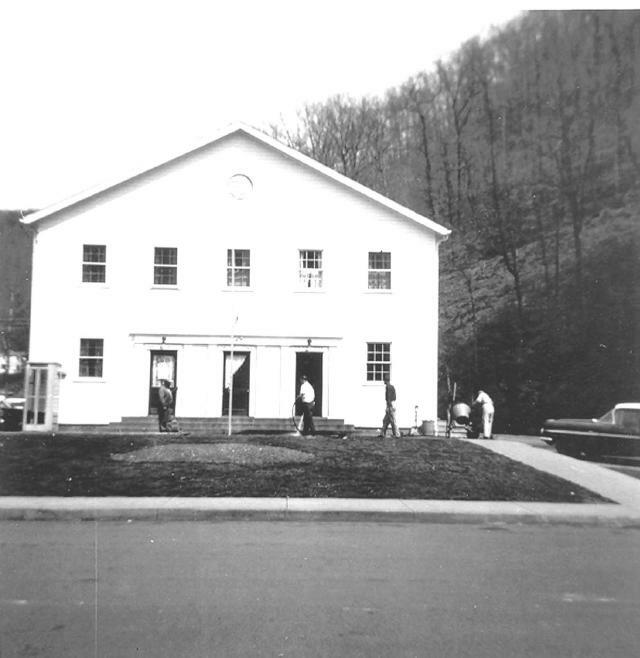 The post office in Coalwood has since been closed, and the United States Postal Service now lists 24824 as an invalid ZIP code for Coalwood. The abbreviation "HC 31" means "Highway Contract Route number 31." A highway contract route is a mail route assigned to a private carrier on a contract basis. 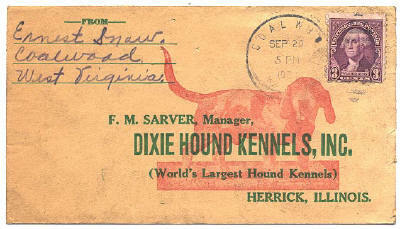 The United States Postal Service sometimes assigns contracts for sparsely populated rural areas. On a highway contract route, mail is placed by the carrier into rural mail boxes in front of people's homes. In the example above, "Box 2596" is like a house number; it has nothing to do with a post office box inside a post office.